North Broadway Street is currently undergoing a complete overhaul which is estimated to take 160 days. 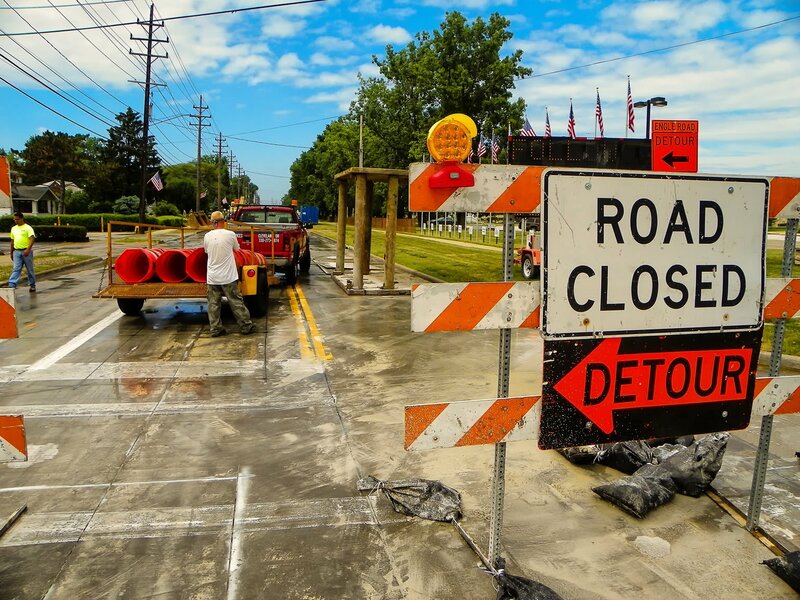 We are dedicated to keeping you up-to-date with the latest detours and constructions news. Please see our Facebook page for the latest maps and videos. April 9, 2019 - Access to the funeral home is currently limited to West Lincoln Street which can be accessed from US 49 N.
April 10, 2019 - Access to the funeral home is currently limited to only from the north on St. Rt. 118 (N. Broadway). 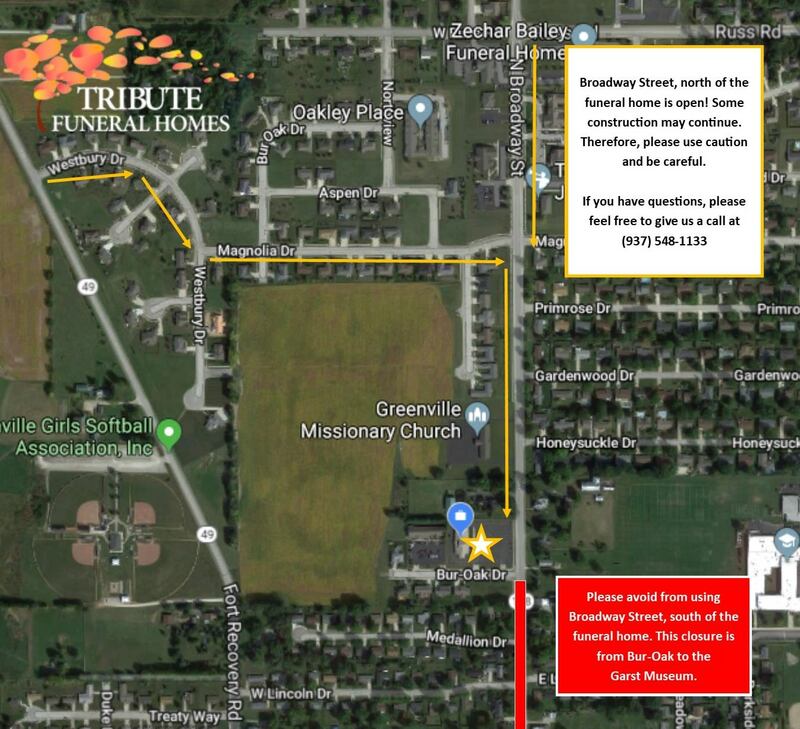 April 11, 2019 - Access to the funeral home will be available from two directions; from the north, on St. Rt. 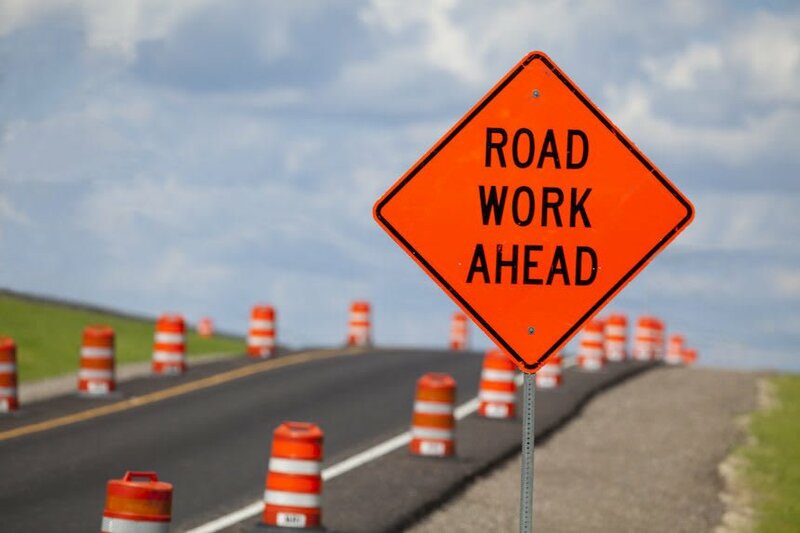 118 and from the south from W. Lincoln Street which can be accessed from US 49 N.
April 24, 2019 - Access to our Greenville Campus is limited to North Broadway Street (From the funeral home to Russ Road in open). From Burr-Oak to the Garst Museum is closed to traffic.